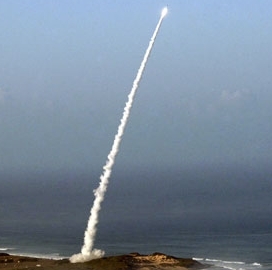 Germany has placed a potential $4.5 billion order for the Medium Extended Air Defense System made by Lockheed Martin (NYSE: LMT) and MBDA as part of efforts to update country’s missile defense system, Syracuse.com reported Monday. Mark Weiner writes that Lockheed’s plant in the Salina suburb of Syracuse, New York holds a $625 million share of the MEADS program that covers work to develop of the system’s surveillance radar. Scot Stevenson, Thorsten Severin and Andrea Shalal of Reuters also report that Lockheed CEO Marillyn Hewson told investors at a conference last month the company believed a purchase from Germany could drive orders by other European countries such as Italy and the Netherlands. Reuters notes that a multi-country partnership built MEADS as a successor to Raytheon‘s (NYSE: RTN) Patriot system.